Moniker International Art Fair Is One Of The Art Fairs Kicking Of In NYC During The First Week Of May, Check Them Out! Moniker International Art Fair running from May 1 to 5, 2019 (718 Broadway, New York City) has announced programming for the fair's second edition. Find out more HERE. The fair will feature 28 exhibitors and four special projects related to the theme "Cause and Effect." Scenic Route by Lesley Jackson and Amber Renaye at Andrew Rafacz (Chicago) May 4 to June 15, 2019.
possibilities in the natural world. Jackson is from Chicago and Renaye New York. 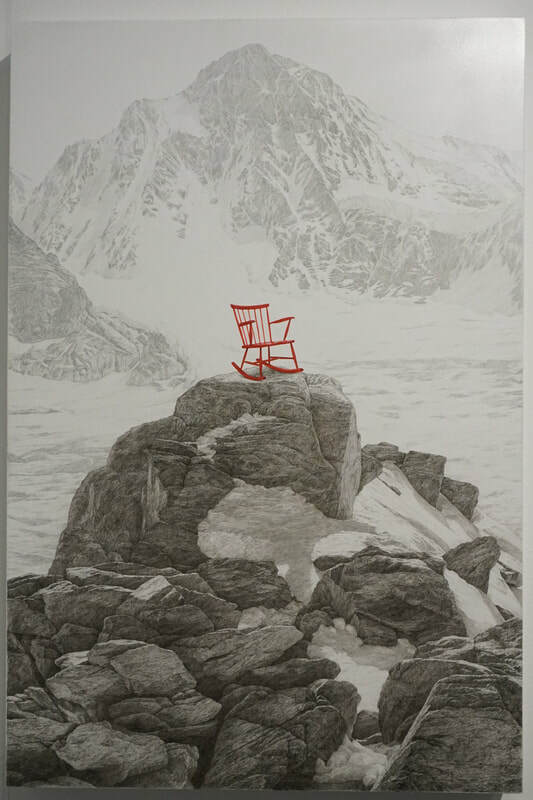 Birch Contemporary (Toronto) showed work by Richard Storms At Philadelphia Fine Art Fair 2019. If you go to the gallery page you will see that Storms work ranges from numerous depictions of cats and dogs to lovely geometric pieces. This is, perhaps, a bit of a departure for him, depicting the human animal. His work has a unique take on texture. I found it sort of odd and off putting but here is the funny thing; it made me look. It made me examine and it brought me in. They look simple at first glance but they are not. The Hunt Gallery (Sandwich, UK) showed paintings by Michael John Hunt at Philadelphia Fine Art Fair 2019. 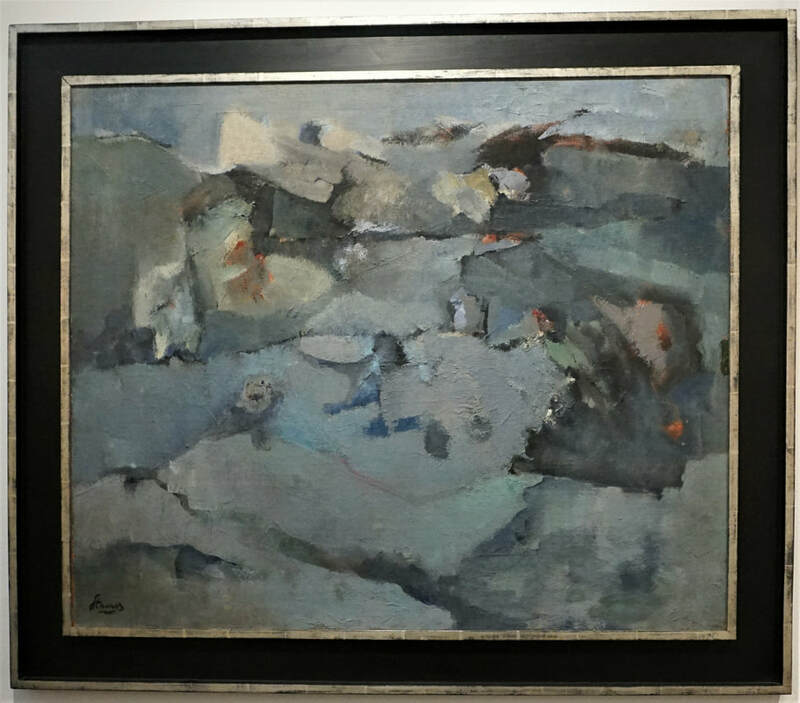 The gallery exclusively shows work by Hunt. Looking at Hunt's paintings you may think "BFA from here, MFA from there, years studying with this and that noted artist in their studio." None of that is the case. Hunt, an English painter born in 1941, is totally self-taught. Hunt's paintings are generally still life or landscape. The light in these paintings is remarkable (and photos do not do them justice). You get an actual sense of time of day, the heat, the direction of the sun. They are remarkable. 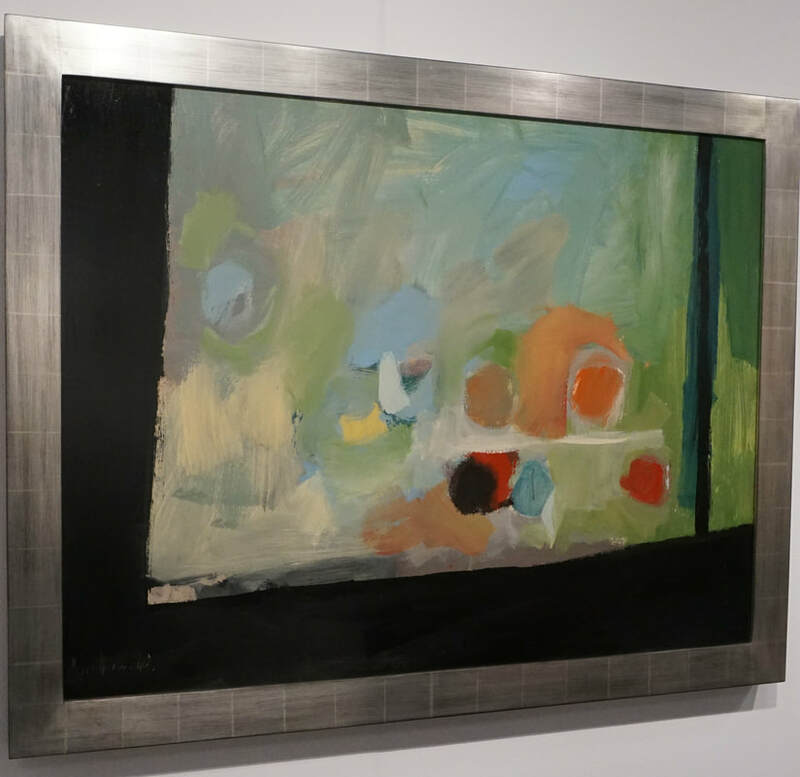 LG Tripp Gallery (Philadelphia) showed work by Miriam Singer at Philadelphia Fine Art Fair 2019. Singer's work is based on her recollections of Philadelphia. She works, from memory, then turns the piece into a work of imagination. The pieces are colorful, joyful and fun to try to figure out WHERE the artist was thinking of for a particular work. These pieces are multi-media (markers, pencil, glue, printing etc). The layering is complex. You can see more work by clicking on the gallery link above. 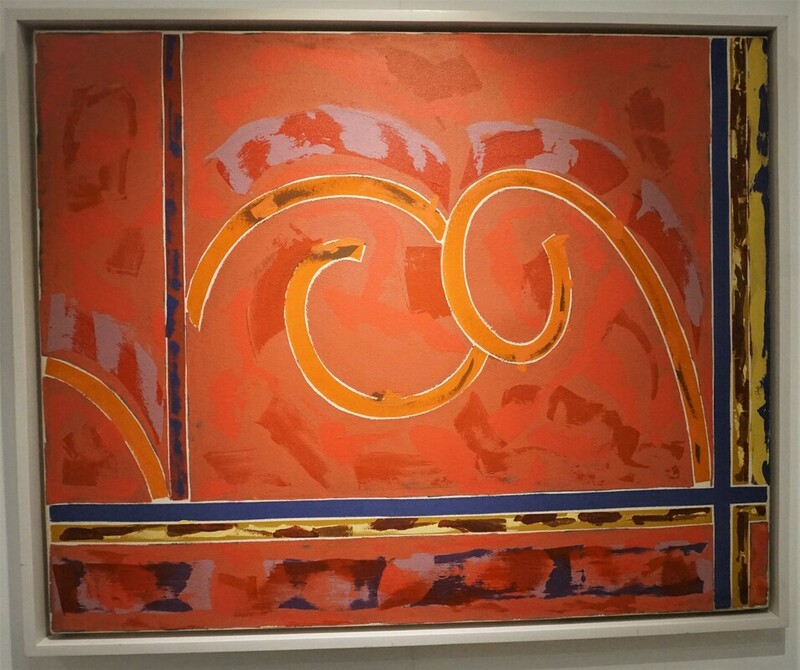 Seraphin Gallery (Philadelphia) showed work by Arman and Phillip Adams at Philadelphia Fine Art Fair 2019. ​Arman's piece is a broke violin cast in polyester resin. The artist is associated with the New Realist movement. He started as an abstract painter but, in short order, began working in sculpture. There are often broken, hacked and smashed objects in his sculpture. Adams attended the University of Georgia (BFA) and University of Pennsylvania (MFA). He lives in Philadelphia. This meticulous piece is oil and graphite on panel. The hyper-realism of most of this work contrasts with the one out of place feature. A number of his pieces use a similar construct. Whatever the artist's intent it gives the viewer an opportunity to create reasons, create stories around the piece. It can be made personal. 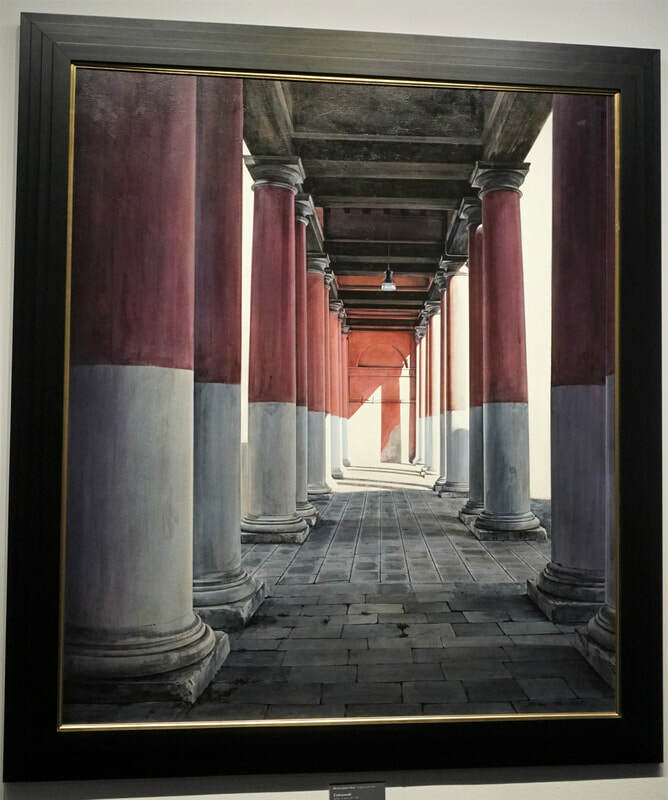 Stanek Gallery (Philadelphia) showed work by Francis Di Fronzo at Philadelphia Fine Art Fair 2019. Di Fronzo holds a BFA from the University of California (Fullerton) and moved east to study at the Philadelphia Academy of Fine Arts where he earned an MFA. He was also the recipient, in 2004, of the Pew Fellowship in the Arts. The artist lives in California. See more HERE. There is something lonesome about the work. Empty, unmoving trains or train crossings are often featured. Other subjects include seemingly deserted buildings and airplances. All are bathed in a soft light. They are realistic but at the same time so "painterly." These works are also, for lack of a better way of putting it, quite American. Grenning Gallery (Sag Harbor, NY) showed work by Ben Fenske at Philadelphia Fine Art Fair 2019. Fenske is from Minnesota and has lived and worked in both Sag Harbor and Florence, Italy. The color in his work calls to mind the Impressionists but there are some stylistic elements that seem almost classical. The use of perspective suggests otherwise.